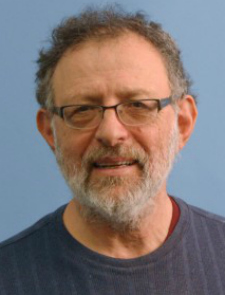 Developed by Emeritus Professor of Computer Science Ira Pohl, the course is the first in a series of MOOCs Pohl has designed that will provide training for experienced C programmers who want to program in C++. The course is available to anyone in the world with an Internet connection. Pohl has written widely on programming in C, C++, C# and Java. His MOOC on C++ will provide new opportunities for programmers looking to refine their skills or for additional training to further develop their careers. Pohl described his MOOC as "the distillation of three decades of teaching UCSC students C and C++." UCSC has taken a faculty-led approach to developing online courses. Vice Provost for Academic Affairs Herbie Lee said the campus joined Coursera to provide an opportunity for faculty who are interested in reaching a much larger audience through technology. MOOCs typically enroll thousands of students, often with more than half from other countries, and many from regions where access to first-class educational materials is scarce. Over the past year there has been sizable growth in the development of credit-bearing online courses, and renewed faculty interest in developing MOOCs. UC Santa Cruz is currently developing MOOCs in the fields of statistics, psychology and environmental studies. A MOOC on the Holocaust is currently being offered on Coursera. For more information about opportunities to develop online courses, contact Michael Tassio at mtassio@ucsc.edu or 831-459-1349.